Research has found that an eighth-grader's risk for depression jumps 27 percent when he or she frequently uses social media. Kids who use their phones for at least three hours a day are much more likely to be suicidal. And recent research has found the teen suicide rate in the U.S. now eclipses the homicide rate, with smartphones as the driving force. But the writing about smartphone risk may have been on the wall for roughly a decade, according to educators Joe Clement and Matt Miles, co-authors of the recent book Screen Schooled: Two Veteran Teachers Expose How Technology Overuse is Making Our Kids Dumber. It should be telling, Clement and Miles argue, that the two biggest tech figures in recent history -- Bill Gates and Steve Jobs -- seldom let their kids play with the very products they helped create. "What is it these wealthy tech executives know about their own products that their consumers don't?" the authors wrote. The answer, according to a growing body of evidence, is the addictive power of digital technology. 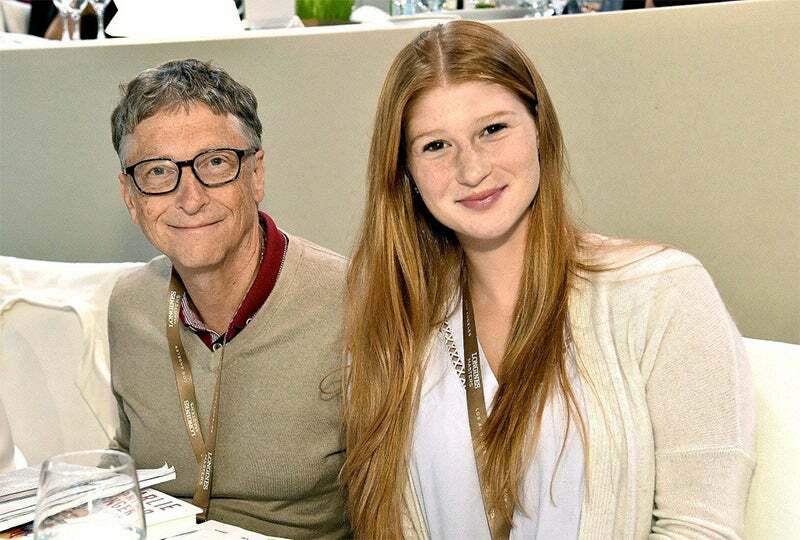 "We limit how much technology our kids use at home"
Bill Gates wouldn't allow his children to have cell phones until they turned 14, fearing the effects of too much screen time. Jobs, who was the CEO of Apple until his death in 2012, revealed in a 2011 New York Timesinterview that he prohibited his kids from using the newly-released iPad. "We limit how much technology our kids use at home," Jobs told reporter Nick Bilton. In Screen Schooled, Clement and Miles make the case that wealthy Silicon Valley parents seem to grasp the addictive powers of smartphones, tablets and computers more than the general public does -- despite the fact that these parents often make a living by creating and investing in that technology. "It's interesting to think that in a modern public school, where kids are being required to use electronic devices like iPads," the authors wrote, "Steve Jobs's kids would be some of the only kids opted out." Jobs's children have finished school, so it's impossible to know how the late Apple co-founder would have responded to education technology, or "edtech." But Clement and Miles suggest that if Jobs's kids had attended the average U.S. school today, they'd have used tech in the classroom far more than they did at home while growing up. That's at the average school at least, according to the co-authors. A number of specialty Silicon Valley schools, such as the Waldorf School, are noticeably low-tech. They use chalkboards and No. 2 pencils. Instead of learning how to code, kids are taught the soft skills of cooperation and respect. At Brightworks School, kids learn creativity by building things and attending classes in treehouses. Edtech won't be a "cure-all." If there is any concession Gates has made on technology, it's in the benefits it offers students in certain educational settings. In the years since Gates implemented his household policy, the billionaire philanthropist has taken a keen interest in personalized education, an approach that uses electronic devices to help tailor lesson plans for each student. In a recent blog post, Gates celebrated Summit Sierra, a Seattle-based school that takes students' personal goals -- like getting into a specific college -- and devises a path to get there. Teachers in personalized learning settings take on more of a coaching role, helping to nudge students back on track when they get stuck or distracted. Technology in these cases is being used as specifically as possible -- and in ways Gates recognizes as useful for a student's development, not as entertainment. "Personalized learning won't be a cure-all," he wrote. But Gates said he's "hopeful that this approach could help many more young people make the most of their talents."